My work has always been grounded in dichotomy, of taking things do not seem to belong and searching for equilibrium. Whether that dichotomy is a function of historical craft versus contemporary methods, the written word versus visual form or the domestic versus the industrial, finding balance is essential. My interest in the exploration of consciousness and perception also often comes into play. When Rachelle Gardner-Roe was five years old, if you had asked her what she wanted to be when she grew up, the answer would have been unequivocal. Artist. She would later earn a degree in the practical arts, specifically Interior Architecture, and as the need to make with her own two hands would not be quieted, she began her career as a woodworking and design apprentice. 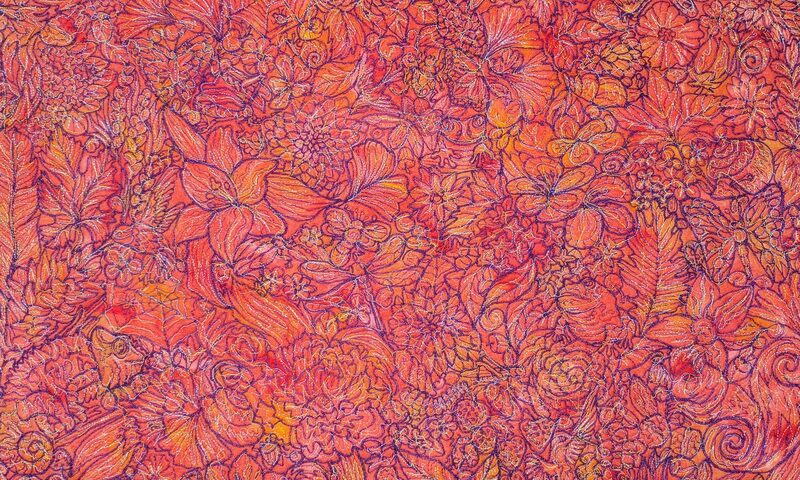 Inevitably drawn back to the fine arts, she works in mixed media with a focus in textiles. Gardner-Roe exhibits nationally, and works on public projects as well as private commissions. She has been awarded grants and residencies that allowed her to explore installation in the urban environment, study experimental processes at a national art center, and engage in theoretical research and development of signature techniques. She has exhibited regionally and nationally, including The Mulvane Art Museum, The Pittsburgh Center for the Arts, San Jose Museum of Quilts and Textiles, The Leedy-Voulkos Art Center and The Chautauqua Institution, among others. In the Kansas City metro area, her work can be found at Weinberger Fine Art and The Bunker Center for the Arts. Gardner-Roe lives and works in Mission, KS.